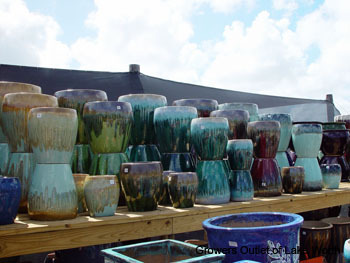 We sell 3 types of pottery: Mexican style, Italian style, and Glazed. 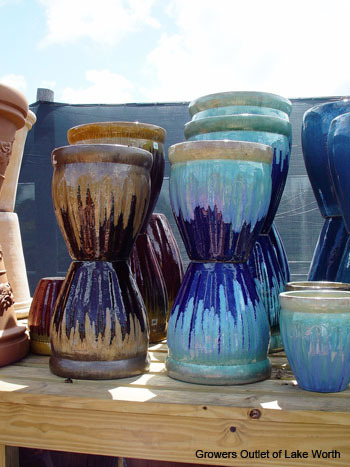 Our Mexican pottery is super strong construction with a bold look, and detailed artwork makes this collection very popular. 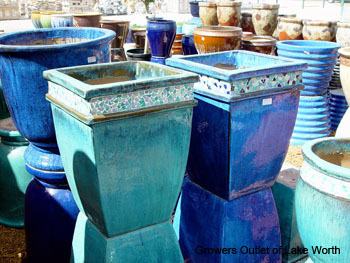 Our Italian (terraced) pottery is produced in the heart of Italy. 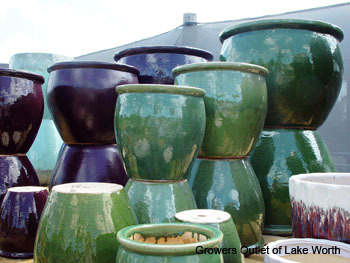 This region has been making the world's finest terraced products for centuries, Combining this knowledge with state-of-the-art production facilities has resulted in a superior clay pot by which all others are measured. 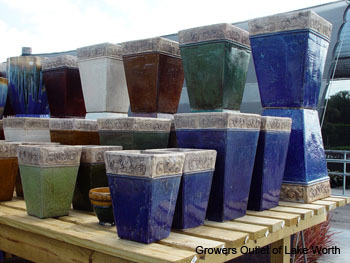 Incredible durability, a smooth surface and just the right amount of permeability are the hallmarks of Tuscan clay. 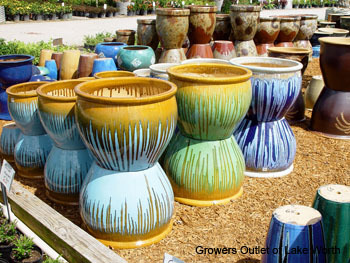 We have sought out some of the leading manufacturers to bring you this broad selection of quality planters from around the world. 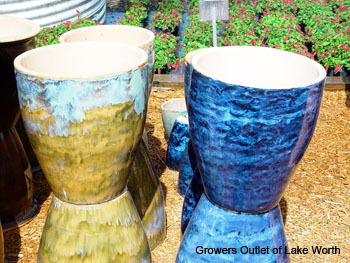 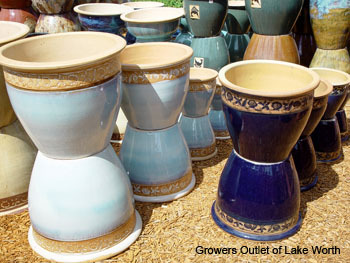 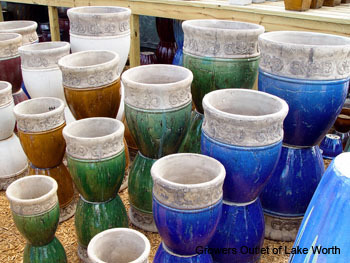 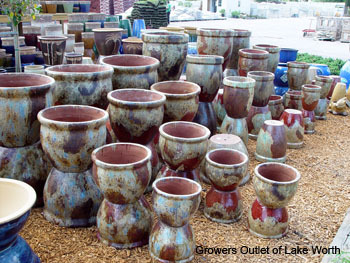 Stunning colors and exceptional designs make these pots stand out in any setting.